In today's global marketplace, a manufacturers' ability to compete with firms around the world increasingly depends on their capability to generate viable product ideas and translate them into commercial success. Product design, research and development is essential to drive commercialization and growth in the manufacturing sector. 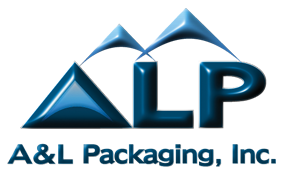 To capitalize on current and future market opportunities, Aerosol and Liquid Packaging offers a product design, research and development services to their customers. Thinking outside of the box is key to create new and innovative products that can grab the attention of general consumers and retail outlets alike. We use the contacts and relationships in our arena to help with every aspect of product design and development. Artwork Design (our graphic designer can take a generalized description of what you would like and provide samples that, once approved, we can use in print. This can cover label artwork, box artwork, or sales literature. Please feel free to request a quotation below to start a conversation with us about what all we can do for you. 2017 Aerosol & Liquid Packaging. All rights reserved.